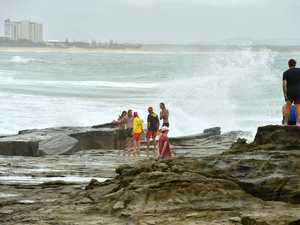 Surfers and bodyboard riders making the most of the waves at Kawana on the weekend. If you have a great photo to share of the surf, you can share with us below. Weather COLD start coming as surf also looks set to rise. Surfing Some of best waves could be found along the open stretches of the Coast, including at Kawana, where riders didn't have to wait long for the sets to come in.